When we look back, it is easier to see each detail orchestrated by God’s hands. Walking through it, however, was much more difficult. It began with God putting several families who had adopted in our path. It began with visiting orphans in other countries and feeling an overwhelming sense of love for these children. It began with God’s Holy Spirit coming into our lives and opening our eyes and then hearts to the injustices in this world. It began with Jesus’s great love for us. It started with Love. My husband and I surrendered our lives to Christ by telling Him we would go anywhere or do anything for Him (which by the way healed a broken marriage). He began to burden our hearts for children with no homes, children who He loves and hadn’t forgotten about. We had to do something and the more we did, the more we saw God work. We started by sponsoring children from around the world, but there still wasn't rest in our souls. We always considered adopting, but now just didn’t feel like the right time. We were oblivious to God’s plan until a couple (one we really respect and look up to who also had adopted) asked us, "What is stopping you?" We have a home with 3 bedrooms, and only one is being used. The only thing really stopping us was our selfish hearts who weren’t ready to give up our lives for a child. "For whoever wished to save his life will lose it; but whoever loses his life for my sake will find it." God began to do a work in our hearts. The unrest grew deeper and deeper. How could we claim to follow him and not do what he asks of us when he had given us the resources to do them? "Why do you call me, 'Lord, Lord' and do not do what I say?" How could we follow the great commandment to love our neighbor as ourselves and ignore this deep injustice with orphans, when again, we had the resources? Deep down I think we knew what God wanted us to do (although we would frequently ask, “Is this God's will for our life?”). At first we resisted but then after serious prayer we knew this was something we must move forward with. It was out of a love for Christ. A wise person told us, "If you are chasing after the Lord and trying to follow Him, He will shut the door if He doesn’t want you to go that direction." So we walked out in faith, and asked God to close the door if this isn’t what He want. We found the opposite happened...He just kept opening them!! One question we get asked a lot is, "Why Vietnam?" When we made the decision to be obedient, we began to look at the whole world and pray over it. We started to feel a pull toward Asia, but no where specifically stood out. We kept asking and God revealed to us that we are surrounded by a community of Vietnamese people we know and love. Our Vietnamese neighbors had just asked us to be God parents to their son. Jonna’s best friend from Colorado was also Vietnamese (and she was the maid of honor at our wedding). An amazing Vietnamese woman works with Jonna. So we looked at Vietnam. 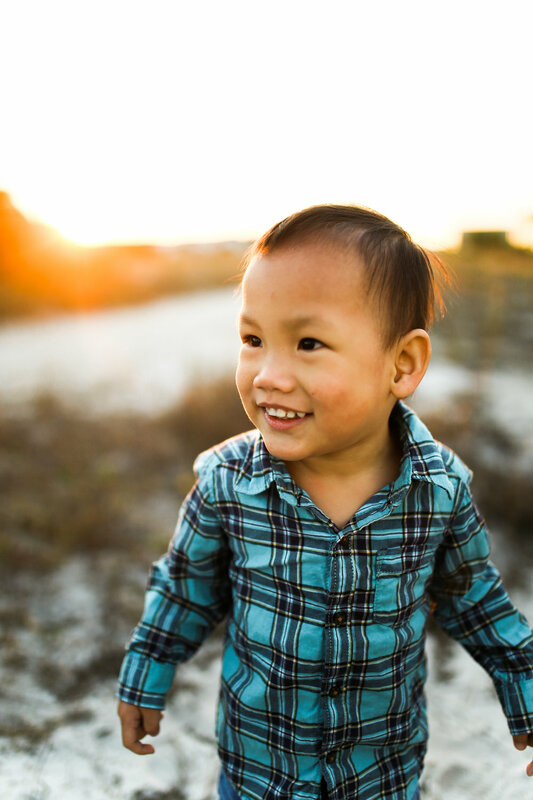 Vietnam's adoption process had been closed for the last 6 years and reopened a couple months prior to us looking. We walked through that opened door. When looking at agencies, we found out there were only two agencies at the time the government in Vietnam would allow. One was faith-based, the other wasn’t. The next door was opened. Ben and I filled out an application. It was accepted. We began the long journey of paperwork, home studies, the matching process. God provided help along the way through notaries, the timing of Ben's deployments, protection of the paperwork in the mail, and guidance through the process. Then, the week before Thanksgiving 2016, He showed us the little boy that would be our future son. We got a call stating, “We have a child for you, we know you listed a preference of a girl, but would you be willing to look at a boy?” This is when we saw pictures of our son for the first time. The adoption agency allows you 2 weeks to decide. How do you make a decision like this?! We had no idea so we sought God’s guidance, counsel and prayer. We were very nervous about the condition we were told he was in. He potentially has a very serious disease. It was a disease that could be treated, but if left untreated could result in severe neurological deficits. We were told we could not pay for treatment. Toward the end of that week we knew this was the child God had given for us. Our heart began to ache for him. How could we know about this little boy and turn our backs on him? That’s not what our Father did to us. He came to us when we were broken and loved us in spite of us being completely uninterested in Him. So, we said yes. We thought the biggest struggles were over, but we didn't know how challenging the paperwork and waiting process can be. We waited and waited, unable to help or do anything for our son. We got occasional updates every 2-4 months. We watched him grow up via photos and videos. We saw his first steps on video in June. We still had no news of when we would get him. So we prayed, "Lord help us to get approval before Ben deploys. Help us bring our son home before his second birthday in January 2018." God gave us the peace that only He can give. 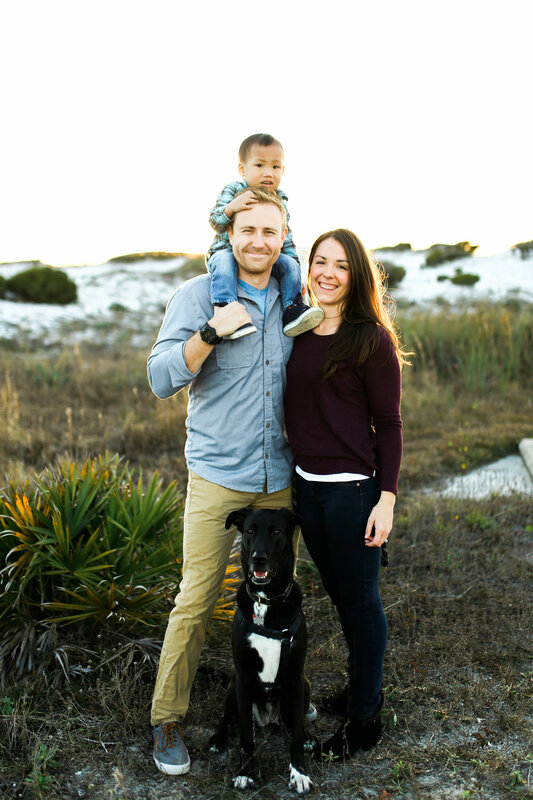 We found out Vietnam approved us and declared our son abandoned the week before Ben deployed. Little did they know that our son was not abandoned because God had known and loved him all along. Now that we have our son home, the biggest challenge has begun. It begins by showing him he is loved and has a forever family. This is to stand as of a reflection of his perfect Father in heaven. 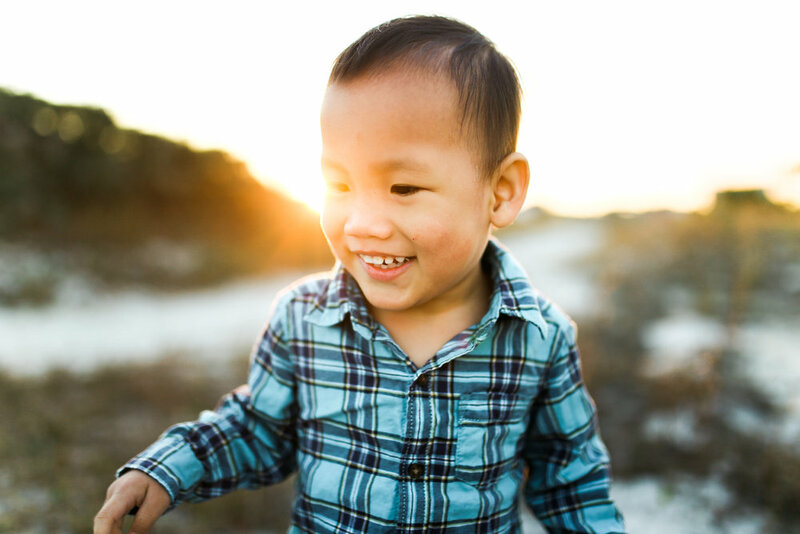 At times, our hearts overflow with an inexpressible love for this child, and other times we honestly think, "God this is too much, I can’t do this." But, He provides mercy, hope, and love along the way just when you need it. Our lives are completely changed and will never be the same. We have found it a better life; one filled with more joy and laughter. It is also filled with growth, patience and reliance on the Jesus for our short comings. Thankfully His new mercies come everyday.